We are super excited and extremely humbled to be a part of the programing at Overland Expo 2019 WEST. If you don’t know what Overland Expo is, start HERE. 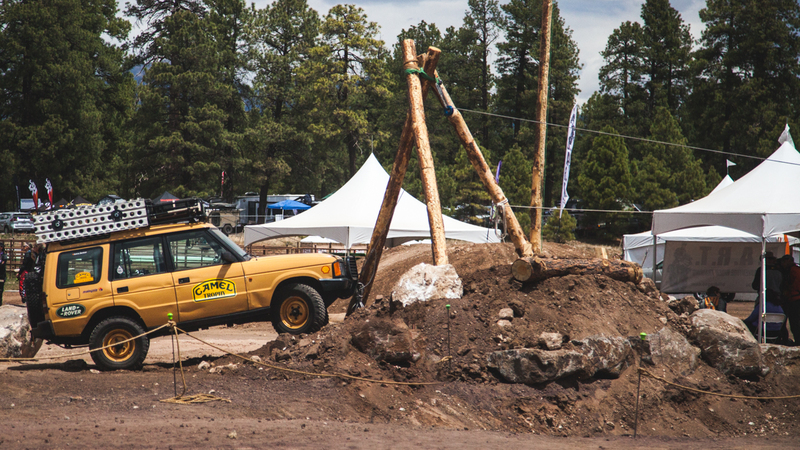 OX is the premier overlanding event in North America with shows in Flagstaff, AZ and on the East Coast at a new, all-weather venue in Fall 2019. Overland Expo attracts hundreds of vendors from the overlanding segment, hundreds of world-travelers telling their stories, and thousands of attendees coming to learn new skills, buy new gear, and meet lifelong friends. We are really pumped that we will both be involved in programs available in the Overland Experience class schedule and a roundtable that is available to all attendees. Our roundtable discussion is with two other traveling couples Matt & Amie of The Traveling Together Journal and Marisa and Tim of Notiers’s Frontiers. Both couples have done some serious traveling and we look forward to hanging out and chatting about our challenges and experiences living full-time on the road. Rachael will be teaching a couple of yoga classes geared toward traveling. In “No Mat Yoga”, Rachael will be walking the class through a yoga flow that is designed to relieve some of the issues that come from spending long days in the truck or on the bike. Often times a yoga mat takes up too much room to bring along, so this entire flow will be sans yoga mat. Her second class, “Recovery Yoga” will focus on relaxing and relieving tension that can often arise after a long day on the trail. The stretch-intensive flow will be beginner friendly and doable for even the least flexible of the EXPO crowd (her husband included). Vehicles aren’t the only ones that need recovery! Overland Expo is a great place to meet new friends, try out that roof top tent you have been shopping for, and learn new skills to make your time on the road that much better. Tickets are for sale HERE now!